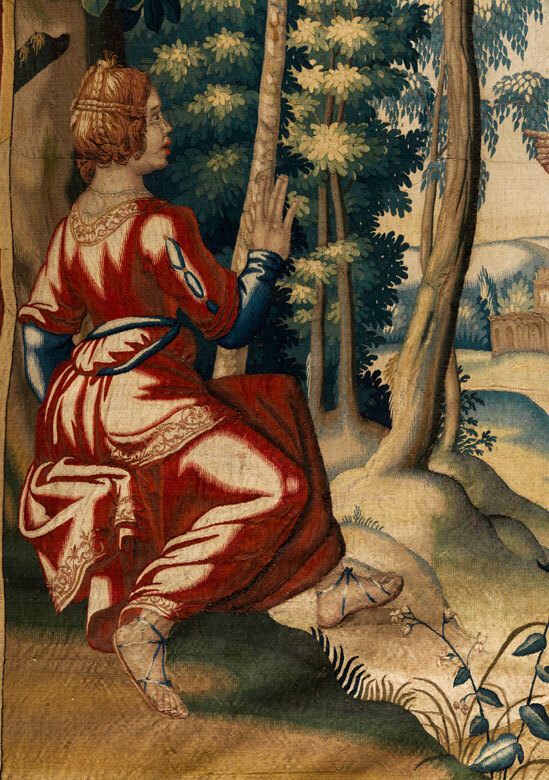 Wool and silk, lined with linen. 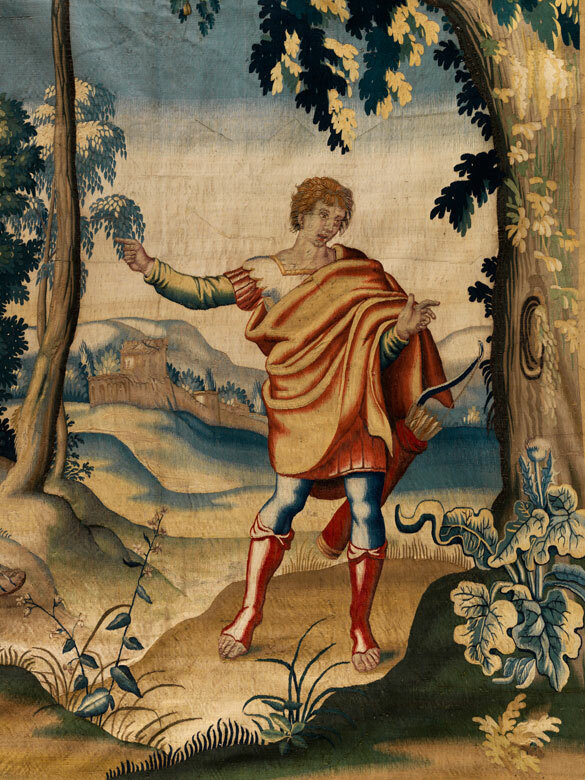 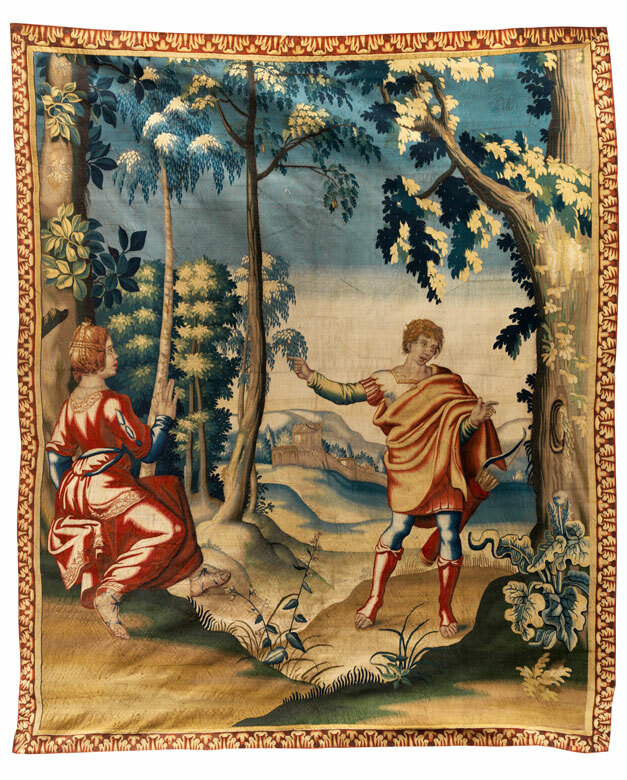 Tapestry in Gobelin weaving technique with mythological depiction of Venus and Adonis. 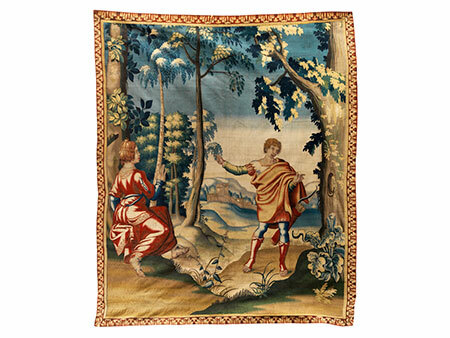 The scene after the antique story as told in Ovid's Metamorphoses.